GRANITE Belt residents have embraced the Containers for Change program so much it has created two new jobs. Since the refund scheme launched in November, residents have exchanged more than 40,000 containers for a 10 cent refund at the Stanthorpe post office. Post office manager Jaci Reed said on average about 15 people per day were accessing the system. "Its been very busy, it's been building slowly,” she said. "Sometimes we have up to 5000 containers per person. With such high demand, Mrs Reed said they had been able to recruit two new staff members. "As of this week we've started having someone there every day,” she said. 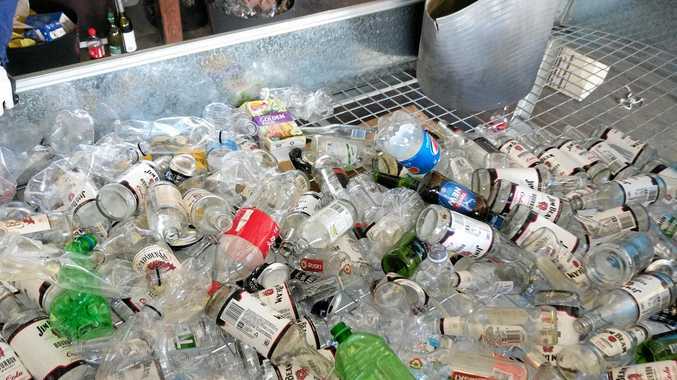 She said she was impressed with how much the community had embraced recycling. "It's fantastic when you see my storage area absolutely full with containers and having to get them to pick it up twice a week,” she said. "All of that would have gone into landfill. She expected momentum to continue to build during the Christmas holidays. "Because it hasn't been done before, we had no idea how it was going to take off. The Stanthorpe post office is at 14 Maryland St. Residents must have an account to use the scheme. Visit containersforchange.com.au.